Pete Turner of The Break it Down Show had a powerful post that encapsulated what is wrong with the American approach to intervention in foreign societies, both in terms of our aid and development programs as well as COIN and military assistance of various kinds. ….A good example of what we did involves things called Collection Centers, which our government built to afford Afghan farmers a place to showcase products to vendors. The Center is supposed to create greater revenue for farmers. Despite the best of intent, and a lot of hard work, the program was and remains an utter disaster. Why has the program been such a flop? We, the US, came in and established these centers without ever considering how the existing system worked. We never bothered to determine how changing the system might be accepted or rejected, or cause harm to those we intended to help. We didn’t consider if the Afghans even had a system (which, of course, they did). An aside–the if you read the report, look for mentions of Afghan involvement in the process. You won’t find it. I spoke with an Army Major in charge of the program and asked him about the existing local market chain from grower to consumer. He admitted that he didn’t know about it. When I asked why he was trying to change it, I was met with silence. We also never considered if we were creating a harmful situation for farmers, and that ignorance caused unexpected and undesirable outcomes. At the most basic level, Taliban fighters notice “western” influence. A farmer who uses (though they never actually did) the collection center is exposing his allegiance with the US and therefore putting his family and himself in jeopardy. Further, the farmer buyer relationship is established relationship. Changing the nature of their transaction is reckless in such a conservative, Taliban influenced place. What we can’t do is create a situation that is perceived to increase uncertainty for farmers. We built these centers throughout Afghanistan. At every instance, covering multiple units, I observed the same poor US decision-making. We never bothered to involve our Afghan partners in the decisions and never allowed them to guide us on how to work within their system. We forced these centers upon the people of Afghanistan, and wasted more than money and resources in the process. We wasted opportunities to actually improve the lot of the farmer, which makes de-legitimizing the Taliban fighters more challenging. 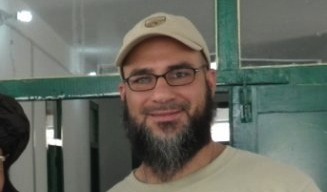 Turner wore many different hats in Iraq and Afghanistan but in one extended tour in Zabul, Pete worked closely with political science Professor Richard Ledet, who in addition to his scholarly expertise, was uncannily good at donning local attire and blending in with Afghan villagers. What happens when an institution attempts to make changes intending to improve the lot of others? What if they ignore culture and fail to communicate with the people designed to receive a benefit from the change? We address these questions in ourepisode with Dr. Richard Ledet. We are fans of Rich. He’s a warrior, professor, surfer, hunter, all-around brilliant, rugged dude. His current gig is working as a Poli Sci professor at Troy University in Troy Alabama. Rich and I worked together in Afghanistan studying how effective or “affective” our work was as US assets helping Afghans. It’s not common for Poli Sci professors to get so close to the ground truth, and then to be able to test our policy and strategic programs as they implemented at the lowest level. This experience, we believe, is fascinating and applies directly to the real world. Listen to the interview here on The Break it Down Show. I am referring here to the religious clerics. We have to think hard about what we are facing — and I have, in fact, addressed this topic a couple of times before. It’s inconceivable that the thinking that we hold most sacred should cause the entire umma [Islamic world] to be a source of anxiety, danger, killing and destruction for the rest of the world. Impossible! That thinking — I am not saying “religion” but “thinking” — that corpus of texts and ideas that we have sacralized over the centuries, to the point that departing from them has become almost impossible, is antagonizing the entire world. It’s antagonizing the entire world! Is it possible that 1.6 billion people [Muslims] should want to kill the rest of the world’s inhabitants — that is 7 billion—so that they themselves may live? Impossible! I am saying these words here at Al Azhar, before this assembly of scholars and ulema — Allah Almighty be witness to your truth on Judgment Day concerning that which I’m talking about now. I say and repeat again that we are in need of a religious revolution. You, imams, are responsible before Allah. The entire world, I say it again, the entire world is waiting for your next move… because this umma is being torn, it is being destroyed, it is being lost — and it is being lost by our own hands. Some are praising Sisi for his bravery. That’s certainly one way to look at it. When Sisi calls for rethinking “the corpus of texts and ideas that we have sacralized over the years,” he may be advocating something quite dramatic, indeed. For centuries, most Islamic law scholars—though not all—have held that “the gate of ijtihad,” or independent legal reasoning, has closed, that fiqh has reached perfection and cannot be developed further. If Sisi is calling for the gate to open, and if fiqh scholars at a place like Al Azhar heed the call, that would be a truly radical step, one that would send shock waves throughout the Islamic world. We’ll have to wait and see. Early reports are sometimes misleading? there are subtexts, religious and political, that outsiders can miss. 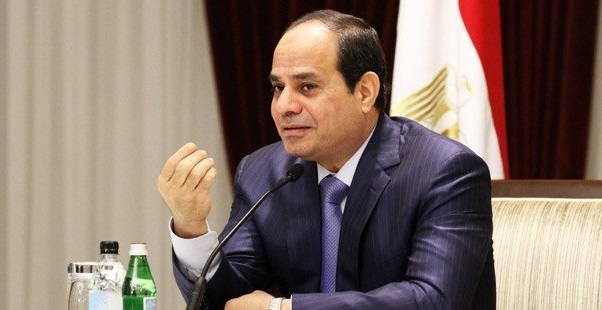 Which texts and ideas does Sisi mean, exactly? That last comment in particular encapsulates my own response to Sisi’s speech. When Sisi speaks of “that corpus of texts and ideas that we have sacralized over the centuries” is he referring to the Qur’an? I am certain he is not. The ahadith of Bukhari? I strongly doubt it. 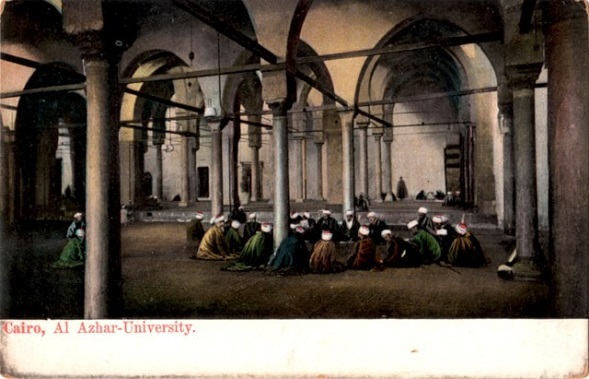 The accumulated corpus of fiqh? That would be my guess. Perhaps someone with access to the original of Sisi’s speech can clarify these matters. In any case, it is worth noting that Sisi is not the first to make such a call. Mainstream Muslim scholars and jurists from across the world seem to have reached a near-consensus that, although the Basic Code cannot be abandoned, it must be re-interpreted to establish legal systems that respect classical fiqh but also incorporate change. This evolutionary call — “that history, as a continuous movement in time, is a genuinely creative movement and not a movement whose path is already determined” — is made to extract Muslims from historical stalemate and expose them to ceaseless dynamism. Every day, in the words of the Quran, shines with new splendor, majesty and freshness. What, in Khan’s view, comnstitutes the Basic Code? This article is founded on a fundamental premise that the Quran and the Sunna constitute the immutable Basic Code, which should be kept separate from ever-evolving interpretive law (fiqh). Muslims have at least three options with respect to the Basic Code. First, they privatize faith, embrace secularism, and divorce lawmaking from the Basic Code. Second, they alter the text of the Basic Code to meet modern needs. Third, they accept the Basic Code as a permanent guide for individual and social life but see the Code as a flexible and evolutionary source. The first option has been tried but the confrontation with religious forces opposing secularism has often maligned the secular state. The second option is unacceptable to all Islamic communities. The third option seems to be the most suitable alternative for the material and spiritual development of the Muslim world. To me religious belief in Islam is, as Sufi Muslims put it, “love of God,” not a political ideology of hatred. .. In my heart, therefore, I am a Sufi, but in my mind I subscribe to ‘aql/”reason”, and in this I follow the Islamic rationalism of Ibn Rushd/Averroes. Moreover, I read Islamic scripture, as any other, in the light of history, a practice I learned from the work of the great Islamic philosopher of history Ibn Khaldun. The Islamic source most pertinent to the intellectual framework of this book is the ideal of al-madina al-fadila/”the perfect state”, as outlined in the great thought of the Islamic political philosopher al-Farabi. 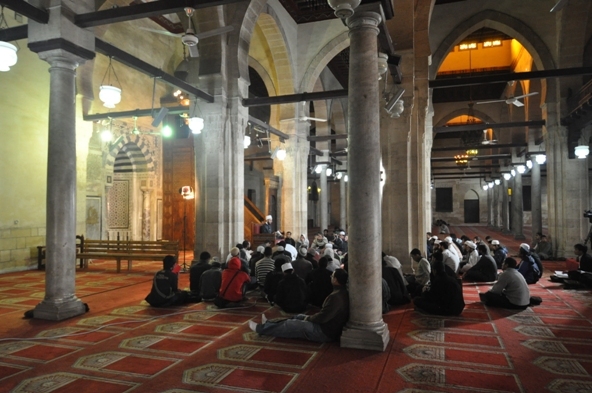 — the tradition of Islamic scholarship at al-Azhar has been with us beyond than a thousand years. “We were bureaucratic guerrilla warriors, fighting the system and deploying whatever underground means we could use,” including whistleblowing, leaking, and “suborning” members of Congress, Sprey says, half-joking. “John Boyd came in as a maverick,” Sprey recalled. Initially, Boyd was brought to the Pentagon in the 1960s by a general who disliked Sprey’s ideas on close air support and was pulling together a group of eggheads to “disgrace” him. When the general left Boyd alone in the room with Sprey they “became fast friends, co-conspirators.” The rest is history. By the time the group held its first Washington meeting in 1973, Sprey, Boyd, Christie, and test pilot Col. Everest Riccioni had designed the concept that was directly implemented as the F-15 and F-16 fighter programs—which have served as the core of American air power for the past 40 years. The group came to be known as the “Fighter Mafia” and expanded their circle to include other like-minded individuals with the same goals for reforming programs and building better weapons systems for the military. Nice piece. Read the rest here. This would also be a good time to remind everyone that the Boyd & Beyond 2013 conference will be at Quantico on October 11th and 12th. It’s free, but you must RSVP Scott Shipman or Colonel Stan Coerr.